In 2007 Mellissa was a regular attendee of aqua aerobics classes. When the instructor of her class needed to take leave for a few weeks, Melissa took it upon herself to lead the classes – and loved it. 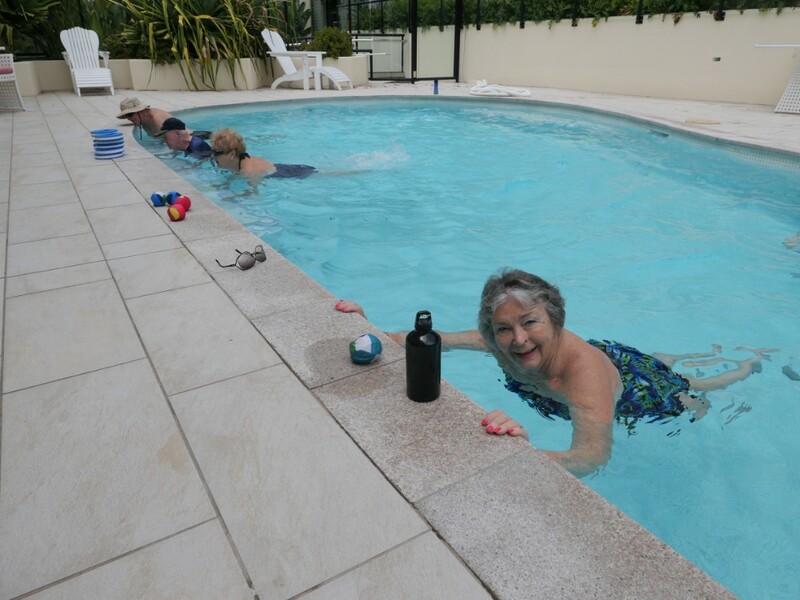 In 2008 she became a qualified health and fitness instructor specialising in aqua aerobics. 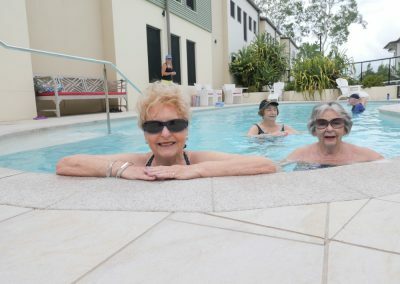 In 2007 Mellissa was a regular attendee of aqua aerobics classes. When the instructor of her class needed to take leave for a few weeks, Melissa took it upon herself to lead the classes – and loved it. 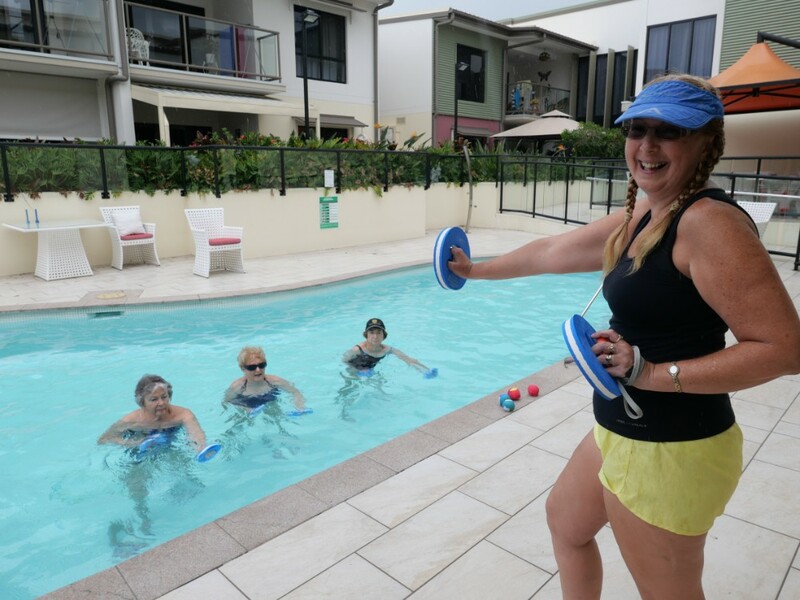 In 2008 she became a qualified health and fitness instructor specialising in aqua aerobics.In 2015 she was asked to fill in for an instructor at Sam Riley’s Swim Centre at Mt Gravatt. This led her to be given a regular class with older adults. 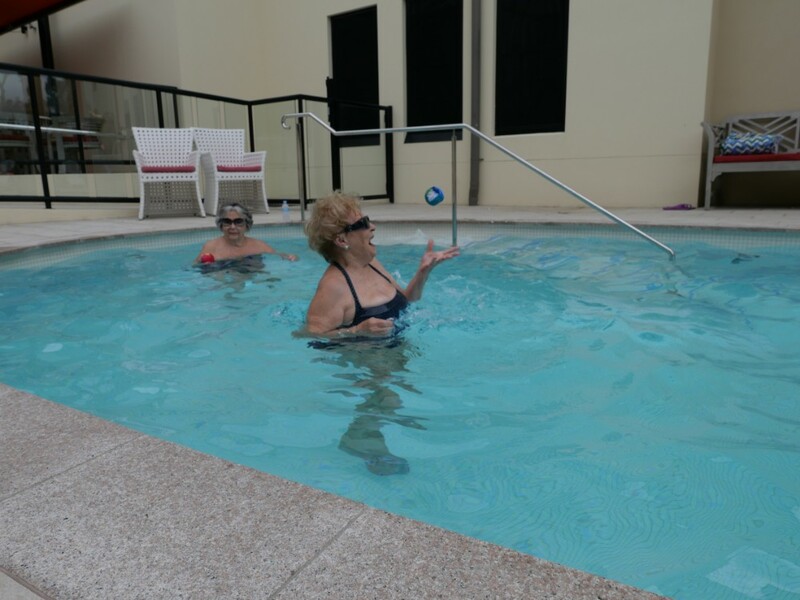 She found the older group were happy to exercise, would laugh and joke with each other and have a great time. 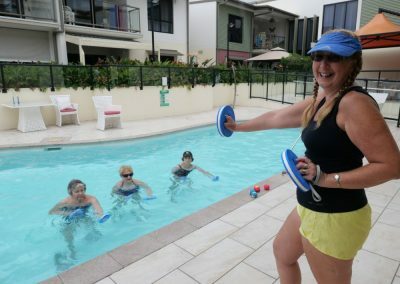 In 2016, Mellissa undertook a course to specialise in fitness for older adults. Mellissa, now in her 50’s, says that she is someone seniors can relate to. She understands first-hand what it feels like to have physical limitations. Mellissa started instructing at Con Noi in September 2018 and has brought smiles (and fitness) to our residents ever since. To improve overall fitness. Ideally, 70-80 year olds should exercise 2-3 days a week. To improve strength, coordination and balance. Building up basic functional movements means seniors can remain independent in their own homes for longer. Social enjoyment and group motivation. 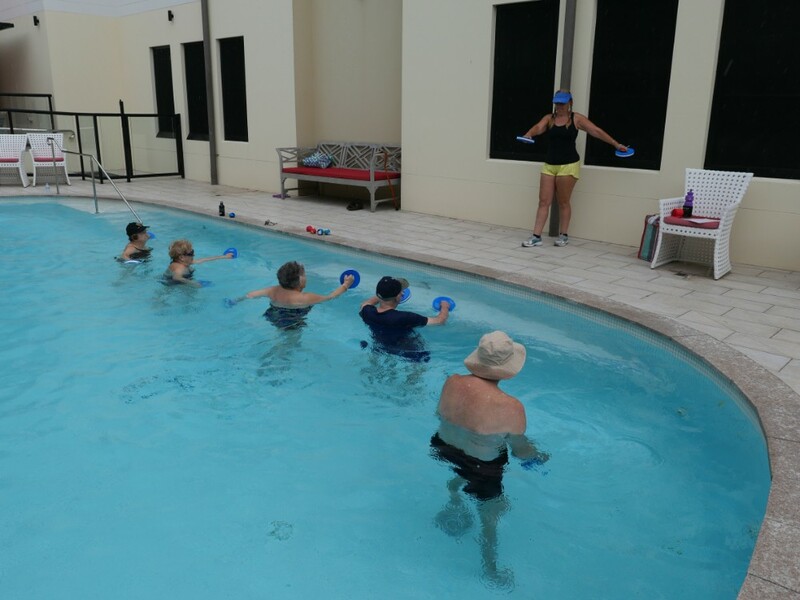 An aqua aerobics class is a fun way to exercise. You get to meet new people and encourage one another. Consistency is key – Pushing the boundaries and seeing progress. A senior lady Mellissa taught had bad legs, couldn’t swim and had a big fear of the water. 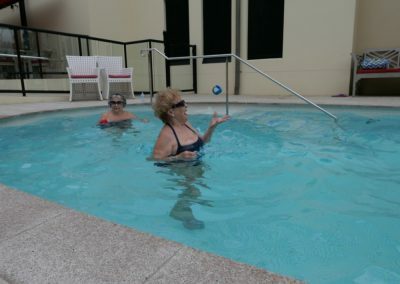 It wasn’t until her doctor and physio told her to participate in aqua aerobics that she finally attended. In the first couple of weeks she stayed in the shallow end and held onto the bar and just moved slowly. Gradually, week by week, the lady would let go of the bar and venture into the deeper end. This kind of progress is so rewarding to see. Another lady in her 70s was having regular stress tests to check her heart health. 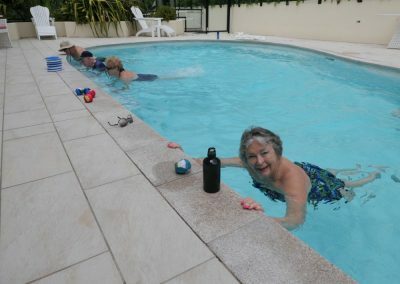 She began aqua aerobics classes. Between classes, this lady would use her own noodle and practice the exercises she had learnt. Three months passed and she took another stress test. The physio found the results surprising as her heart health had increased dramatically. A client with Parkinson’s attended Mellissa’s classes and found that the movement and exercises actually increased her mobility. She experienced improved mobility in the days after she attended class. One of Mellissa’s clients is in a wheelchair and attends weekly exercise classes. She is an example to all that there are no excuses. Exercises can always be tailored to your ability and designed to improve your health and wellness.